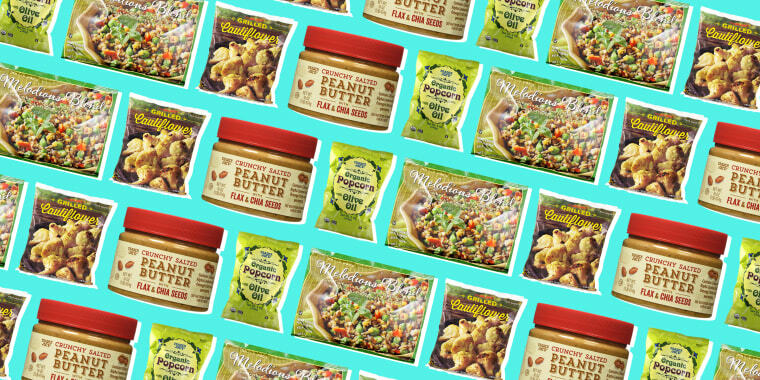 Trader Joe's might be most famous for treats like cookie butter and macaroni and cheese (which aren't exactly nutritional superstars), but comb through the aisles of a TJ's and you'll find plenty of healthy items, too. Of course you can't go wrong with nutritious basics like fresh fruits and vegetables, organic milk, whole-wheat pasta, olive oil, canned beans and dried grains ... but where Trader Joe's really shines is in the convenience department since they do so much of the washing, chopping and a lot of the cooking for you. And since you're not going to want to do a ton of labor on Labor Day, these products are perfect for your party this weekend. Trader Joe's has nailed the heat-and-serve frozen sides with blends like this one, which includes green garbanzo beans, red and green lentils, tomatoes and olive oil. Other winners include the Organic Superfood Pilaf with quinoa, sweet potatoes, carrots, kale and red bell pepper, and the Multigrain Blend with Vegetables, which includes various whole grains with peas, carrots and zucchini. On busy weeknights, it can be a huge pain in the neck to wash and cut up fresh veggies, let alone shred them. Trader Joe's Cruciferous Crunch Collection to the rescue! Found in the refrigerated fresh produce section, this blend of fresh shredded kale, Brussels sprouts, broccoli, green cabbage and red cabbage can be eaten raw in salads ... but is even better lightly sauteed. Other convenient pre-prepped veggies include a spicy blend with spinach, pak choi (it's like bok choy) and mustard greens; shaved Brussels sprouts; a pre-cut blend of broccoli and cauliflower florets; washed and trimmed green beans; and the wildly popular cauliflower rice. The refrigerated produce section of Trader Joe's has lots of convenient, pre-cooked veggies — roasted Brussels sprouts, roasted sweet potato wedges — but the ready-to-eat beets deserve a special mention because beets are such a hassle to prep (any recipe that that involves wearing rubber gloves is just too fussy most days). There's no added salt or sugar in these beets (the ingredient list has one item: beets) and they can be eaten hot or cold. Try them in an arugula salad with nuts and goat cheese. A fellow customer was raving so much about these lightly salted, pre-cooked lentils from the refrigerated aisle not far from the beets, that I actually got out of line to grab them. I'm glad I did. Just open the bag and add them to your salads (they're great with those beets), heat them as a simple side or add them to any soup and other dishes to add substance and protein. This blend of dates, dried bananas, walnuts, sunflower seeds, pumpkin seeds and cashews with cinnamon and vanilla is a great addition to oatmeal and yogurt. 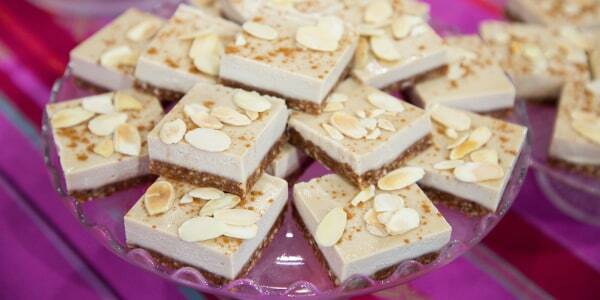 In addition to being gluten-free, it has no added sugar (the dates and bananas provide plenty of sweetness). Just keep an eye on portions, because it's calorie dense (300 calories for a half cup serving). There are a few other healthy choices in the cereal aisle, including the no-added-sugar Ancient Grain and Super Seed Oatmeal with oats, quinoa flakes, whole grain amaranth flakes, sunflower seeds, pumpkin seeds, flax seeds and hemp seed. Remember that the higher the cacao percentage, the more beneficial antioxidants chocolate has, so keep it simple in the dessert department with Trader Joe's plain dark chocolate, which comes as a satisfyingly thick chocolate bar. Not only is tart cherry juice delicious, studies suggest that it can help fight aches and pains. Trader Joe's tart cherry juice is pure (not-from-concentrate) juice, with no added sweeteners. The store also sells unsweetened cranberry and pomegranate juices. Try them cut with seltzer for a tasty nonalcoholic spritzer. The problem with many ancient grains is that they take so darn long to cook. But Trader Joe's 10-minute farro and barley mix (found in the dried foods section) is fast enough for weeknight dinners. Try cooking them in low-sodium chicken or vegetable broth for added flavor (add some chopped kale or other greens to cook with the grains and you've got your veggie side covered too). For those who have less than 10 minutes to spare on cooking grains, Trader Joe's also sells fully cooked brown rice and quinoa. Frozen artichoke hearts, organic peeled and cut kabocha squash, haricot vert, grilled asparagus spears, organic corn, roasted bell peppers and onions, grilled cauliflower, mixed grill with eggplant, zucchini and red peppers, and the cheekily named "Melange a Trois" (red, green and yellow bell pepper strips) are all part of the variety that makes shopping the frozen vegetable section of Trader Joe's so exciting (yes, this is the sort of thing we get excited about). Stock your freezer with a few packs at a time and you never need to have a vegetable-less meal again, no matter the season. Like the store's great veggies, the awesome thing about the frozen fruit at Trader Joe's is how many different kinds there are. Special mention goes out to the organic mixed berry blend, as well as the frozen semi-dried figs, which are amazing defrosted and added to yogurt. If you balk at the idea of buying frozen seafood, you should know that much of what's sold at any supermarket seafood counter has been previously frozen — so you might as well buy it frozen and thaw that filet when you're ready for it ... not when the seafood monger at the grocery store decides to. Top healthy frozen seafood from Trader Joe's include the wild Alaskan sockeye salmon fillets and wild-caught mahi mahi. Packed with fiber and protein, peanut butter is already a healthy treat, but this lightly salted, deeply roasted blend gets a boost of healthy fats from flax and chia seeds. Aside from a little extra crunch, the seeds are barely noticeable in the blend, so it's a good way to sneak them in if you're not crazy about their flavor or texture. Amid the candy-filled trail mixes in the nut and dried fruit section of Trader Joe's, you'll also find a number of simply roasted (and raw) nuts. These portion-controlled 210-calorie packs of unsalted roasted almonds are perfect for keeping in your bag or desk drawer for snacking emergencies. The dry roasting enhances their nutty flavor so you won't miss the salt. Unlike a lot of dried fruit, Trader Joe's dark sweet cherries have, as the label says, "absolutely nothing added." They're the perfect mix between sweet and tart, and are great for adding to salads, pilafs, or snacking on with those almonds for a simple, DIY trail mix. Here's another single-ingredient standout at Trader Joe's: pure canned pumpkin puree, with no sugar or seasonings added. Mix it into oatmeal, whole-grain pancakes or pasta year-round — and not just during Starbucks' Pumpkin Spice Latte season! Among the best bagged popcorn in terms of flavor, this one has an almost buttery flavor (though it contains no butter) and just the right amount of salt. It's a snack that hits all the right notes when you're craving something salty yet simple. Herbs aren't just pretty garden plants! Trader Joe's has a beautiful selection of potted herbs. Keep one (or a few) on your countertop so you can add healthy garnishes to pastas, entrees and salads. The sky is the limit when it comes to uses for rosemary, thyme, mint and more.